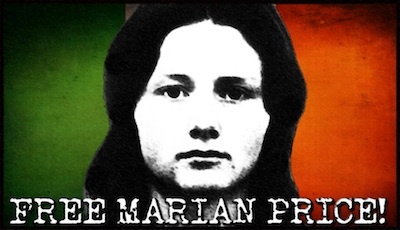 The release of Irish prisoner of conscience Marian Price is being celebrated as a significant victory for justice campaigners and a key step in securing the freedom of other prisoners currently interned in the north of Ireland. 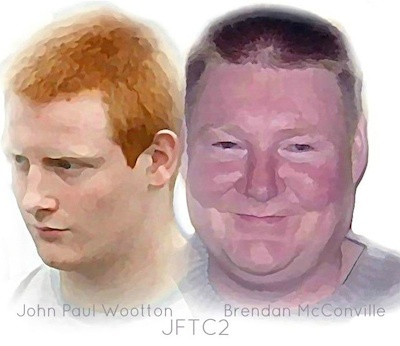 Two sectarian thugs who admitted their part in the murder of Ballymena Catholic schoolboy Michael McIlveen can expect to be free in two to four years after their retrial ended in a further reduction of their sentences. 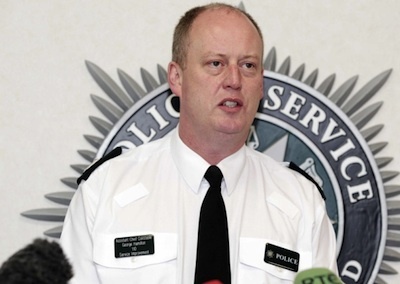 Unabated police harassment of republican activists last week has increased the controversy over the PSNI’s abuse of ‘stop and search’ legislation. 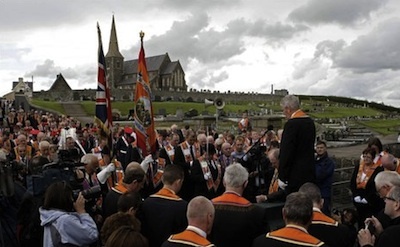 The Orange Order has backed down from plans to stage a ‘prayer event’ and an associated march in a park adjacent to the nationalist Garvaghy Road in Portadown. 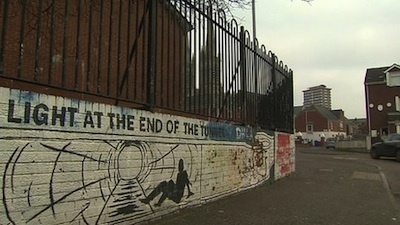 A mother and her 14-month-old daughter have escaped injury following a racist bomb attack on their home in south Belfast. 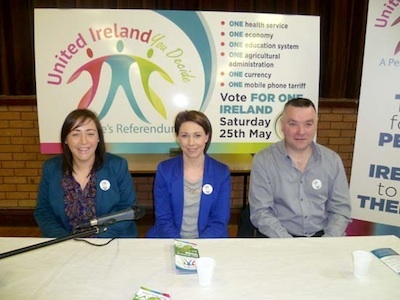 A mock Referendum on Irish Unity was held in the South Armagh village of Crossmaglen and the neighbouring Creggan Upper community in County Louth this week, the culmination of a three week campaign in the area. 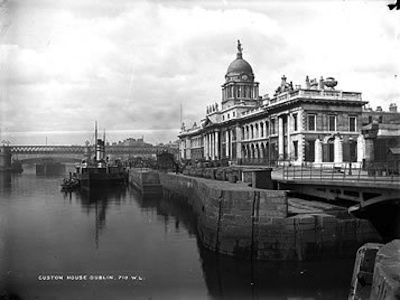 A symbolic, if costly, attack by the IRA in Dublin during the War of Independence took place 92 years ago this week. 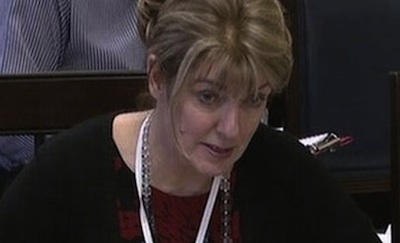 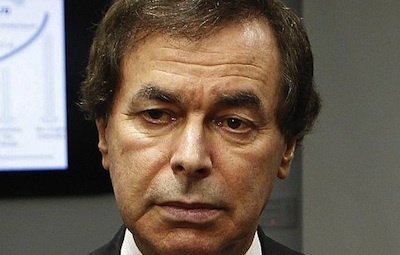 A look at Dáil politics in a week in which 26-County Justice Minister Alan Shatter survived a motion of no confidence, despite a lingering controversy over low-level Garda corruption and the news that he was permitted to pass through a Garda checkpoint after failing to provide a sample of his breath. 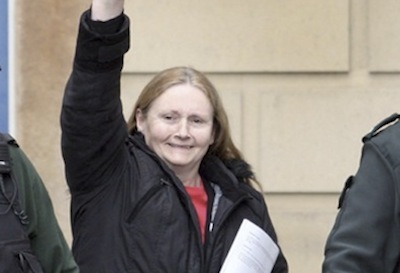 Republican political activist Marian Price has been released after more than two years of internment without trial, her family has confirmed. 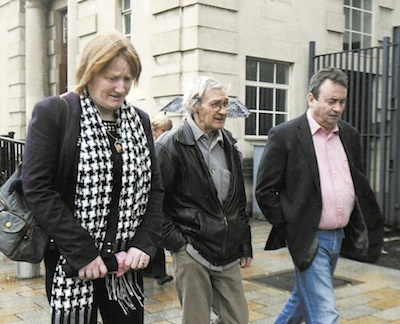 Republican political activist Marian Price is to be released after more than two years of internment without trial. 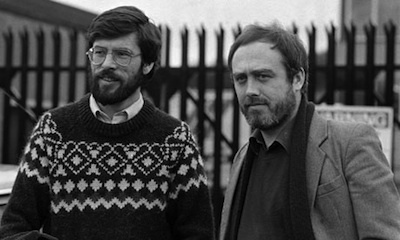 Sinn Fein leader Gerry Adams has accused the British government of breaching commitments given during peace talks over a decade ago following the arrest of leading Donegal Sinn Fein member John Downey. 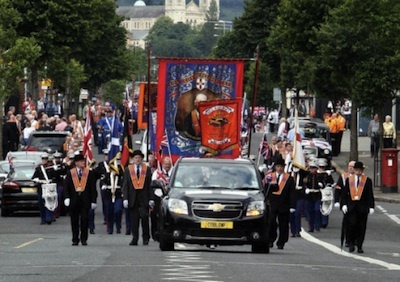 Representatives of a number of nationalist residents groups have criticised closed-door talks in Wales between the PSNI police and a selection of ‘community delegates’ in advance of the main Protestant marching season. 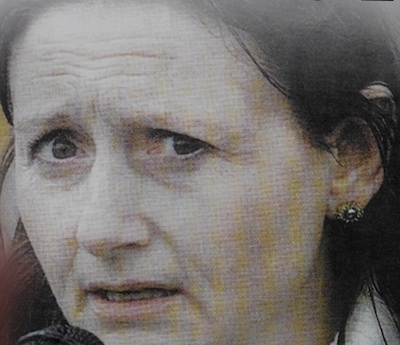 A report by Prisoner Ombudsman Pauline McCabe could finally pave the way for a resolution of the dispute at Maghaberry jail. 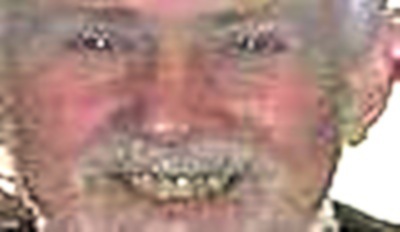 Catholics in the north of Ireland are in poorer health, are more likely to be unemployed and live in more crowded households compared to Protestants, latest census figures show. 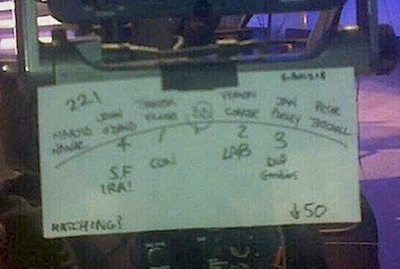 The BBC has been forced to apologise for a sinister incident that saw a Sinn Fein spokesperson labelled as a representative of “Sinn Fein IRA” while Ian Paisley Jr, son of infamous unionist hardliner Ian Paisley, labelled as ‘DUP Goodies’. 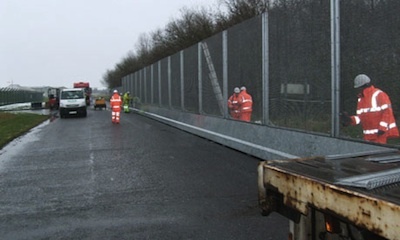 Work is underway to erect a massive security fence to keep political activists far away from a summit of the world’s most powerful leaders in County Fermanagh. 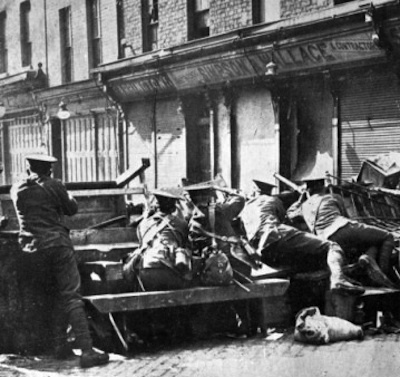 Fifteen civilians were shot or bayoneted to death by soldiers from the South Staffordshire regiment towards the end of the Easter Rising. 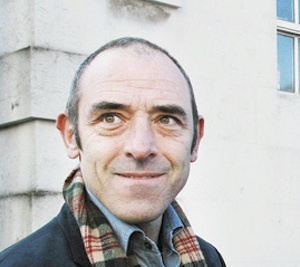 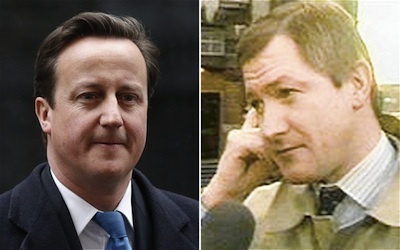 Senior British government officials permitted a campaign of state-backed killings by unionist paramilitaries and the RUC (now PSNI) police to be conducted at the height of the conflict, a senior security adviser for the British government has finally admitted. 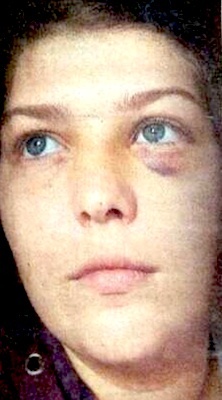 A loyalist mob carried out a savage sectarian attack on a Catholic teenager, her Protestant friend and her friend’s sister in a south Belfast ‘Rangers supporters club’, it has emerged. 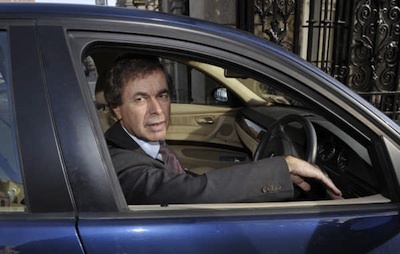 A row over the cancellation of thousands of motoring offences continues unabated in the 26 Counties, despite the report of an internal Garda police investigation which cleared the force of corruption. 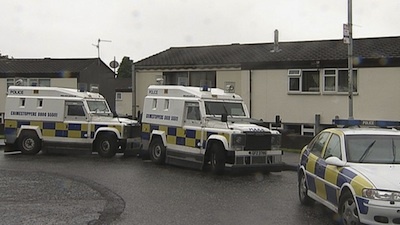 The PSNI have been accused of using excessive violence against whole families, including young children, amid increased concerns over heavy-handed policing in republican areas. 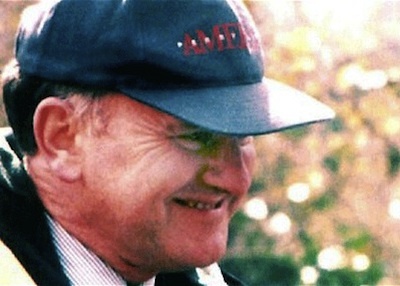 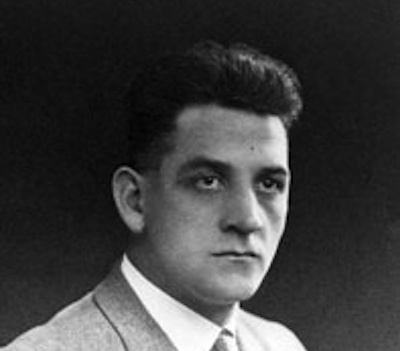 The Republican Network for Unity has condemned the decision of a court in Dublin not to allow an appeal by Michael McKevitt to proceed, describing the case as a miscarriage of justice. 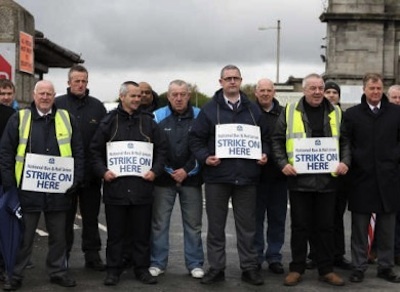 The threat of serious industrial unrest in the 26 Counties has receded following progress in public service pay talks and a separate deal to end a two-day stoppage early last weekend at the state-funded bus company, Bus Eireann. 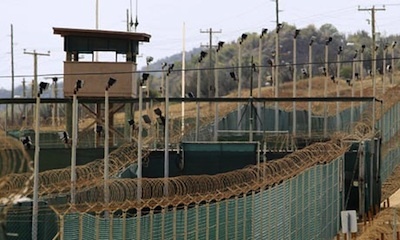 Sinn Fein's Gerry Adams on reports that hunger strikers have been hospitalised and are being force-fed at Guantanamo Bay. 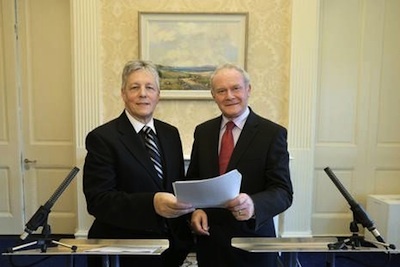 The ten-year plan for tackling sectarian divisions in the North presented last week by the First and Deputy First Ministers was a 'snow job', according to Brian Feeney. 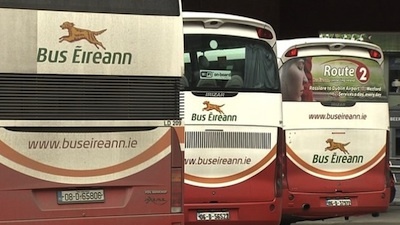 Workers at the state-owned bus company have called a nationwide industrial action which has severely reduced public transport services across the 26 Counties. 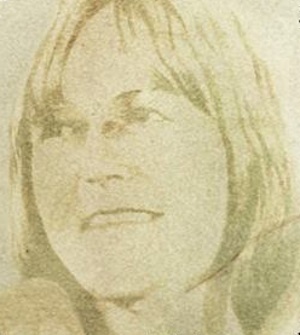 The British government was aware before the 1981 hunger strike that some senior Provisional IRA figures were privately opposed to the use of physical force, according to secret documents found in the papers of Margaret Thatcher. 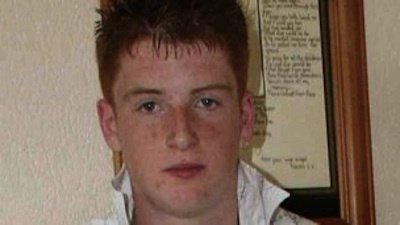 The mother of a remand prisoner has said she fears for his mental health after attempts were made to recruit him as an informer while under 24-hour lock-up behind bars. 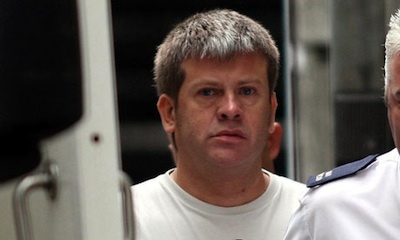 Brian Shivers has been fully vindicated after the terminally ill Magherafelt man walked out of Belfast Crown Court last Friday, his lawyer said this week. 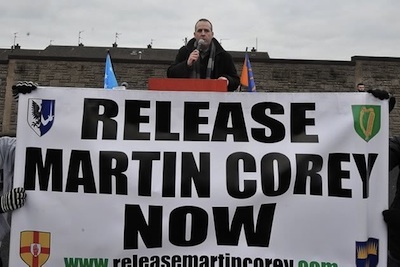 Interned republican Martin Corey has been refused permission to appeal to Britain’s Supreme Court the refusal to provide his lawyers with the ‘closed intelligence’ used as an excuse to keep him behind bars for the past three years. 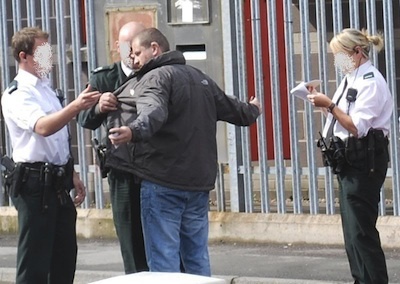 The harassment of republicans through ‘Section 21’ stop and search operations has been found to be illegal by the Court of Appeal in Belfast. 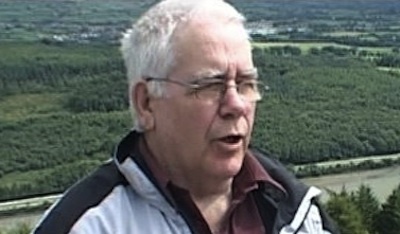 Former republican hunger striker Gerard Hodgkins delivered the 2013 annual Brendan Hughes memorial lecture in Derry on the 1st of May. 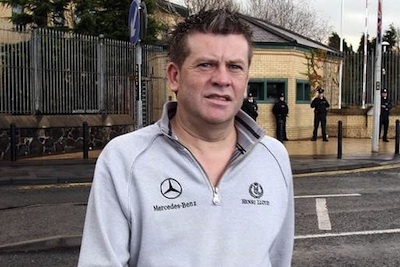 An appeal by two men convicted of a Continuity IRA attack in 2009 was dramatically derailed this week after the PSNI arrested and interrogated a key witness in an apparent attempt to pressure him into withdrawing his evidence. 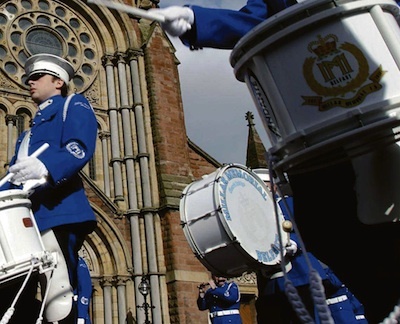 The Stormont administration in Belfast has been accused of engaging in a ‘charade’ after a sectarian Orange parade once again ignored a ruling of the Parades Commission against playing music outside a Catholic church in Belfast. 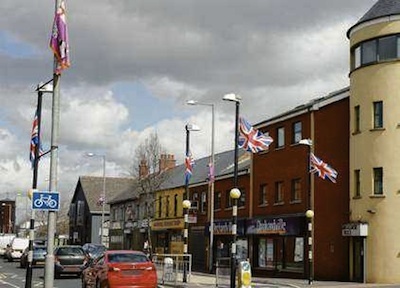 PSNI police chief Matt Baggott has washed his hands of the controversy over UVF paramilitary flags and other loyalist symbols across Belfast, insisting that the North’s politicians introduce new laws on the issue. 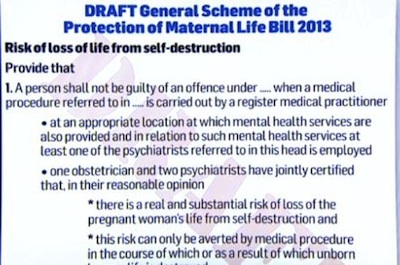 There has been a broad political welcome for a new bill which will finally legislate for the 1983 ‘X case’ referendum, providing for a possibility of abortion in the limited case of a threat to the life of the mother. 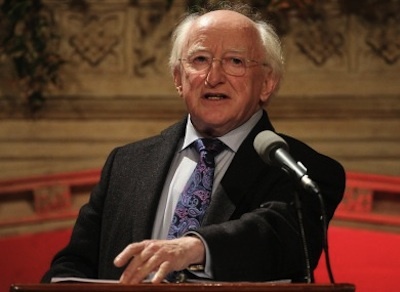 President of Ireland Michael D Higgins has joined the growing campaign in Ireland against the austerity agenda, with comments directly critical of the decisions being handed down by European leaders and the European Central Bank. 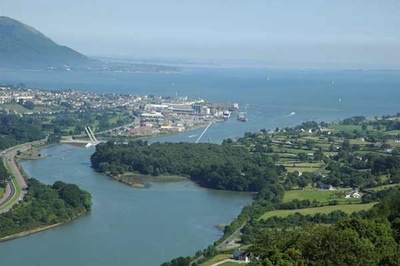 Unionists have been accused of delaying and seeking to scupper a plan for a bridge across the neck of Carlingford Lough which would link county Louth in the South and Down in the North. 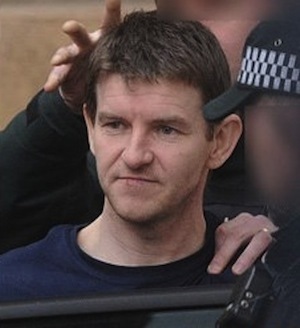 Brian Shivers has been cleared in a retrial of all charges relating to a Real IRA attack in 2009 at Massereene British army base in which two British soldiers died.